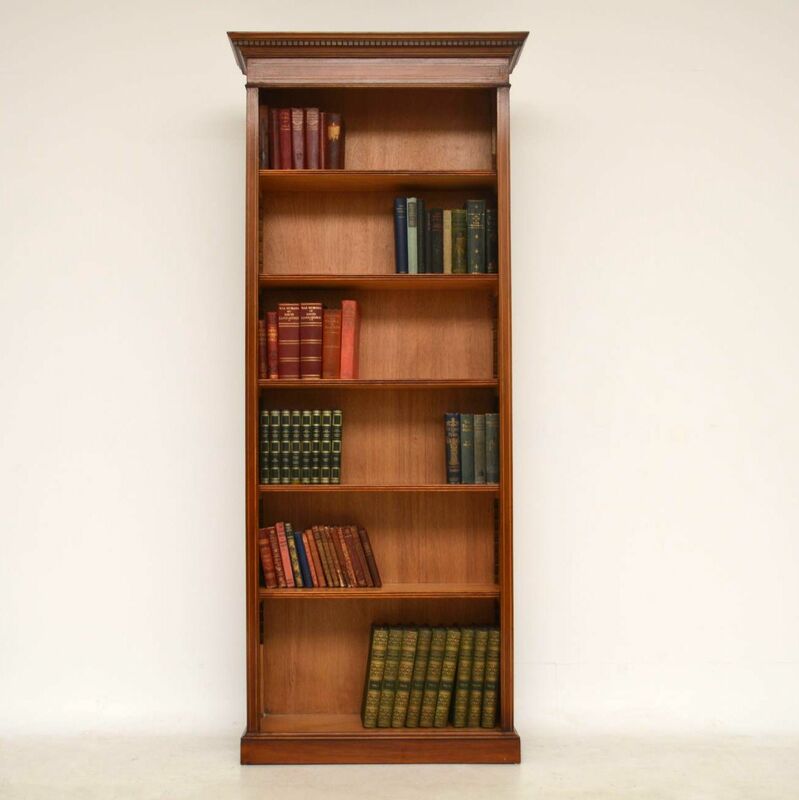 Antique Inlaid Mahogany Open Bookcase | Interior Boutiques – Antiques for sale and mid century modern furniture, french furniture, antique lighting, retro furniture and danish furniture. 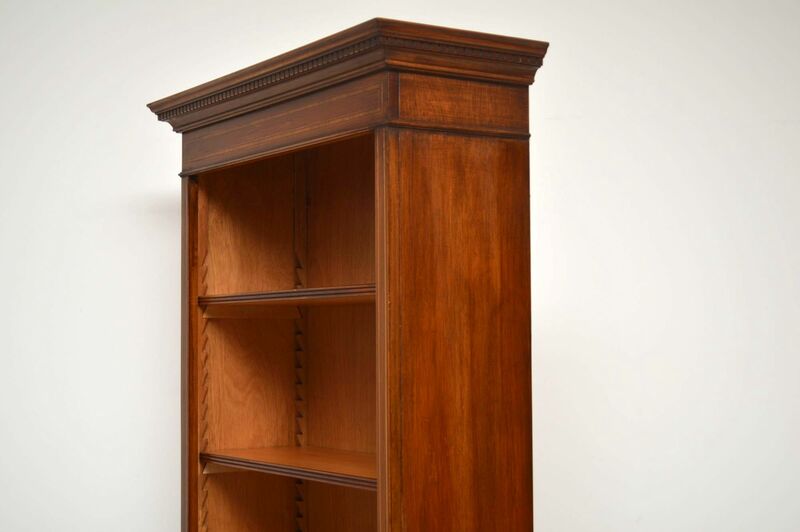 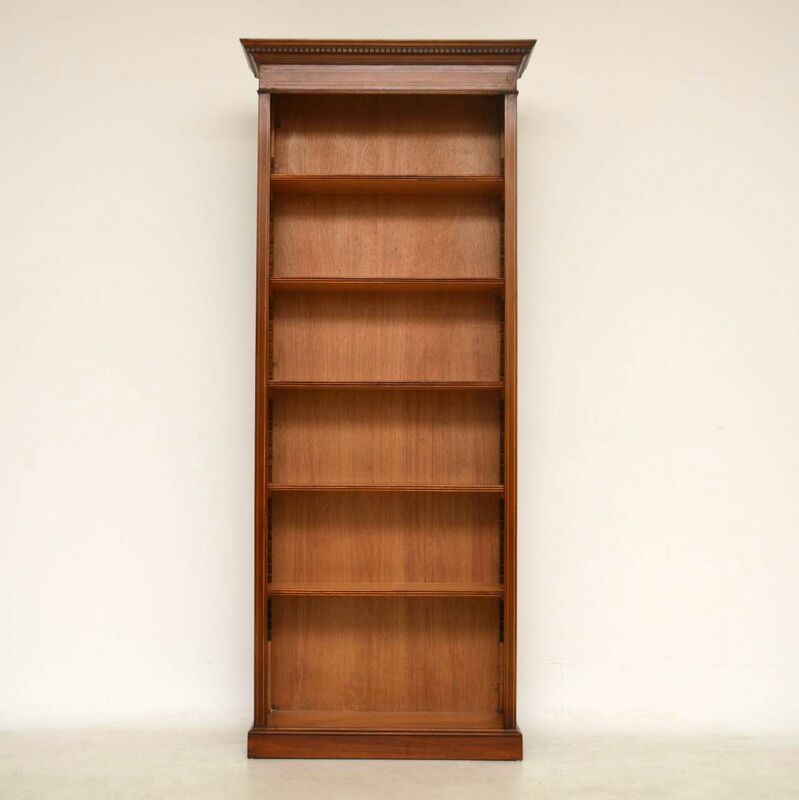 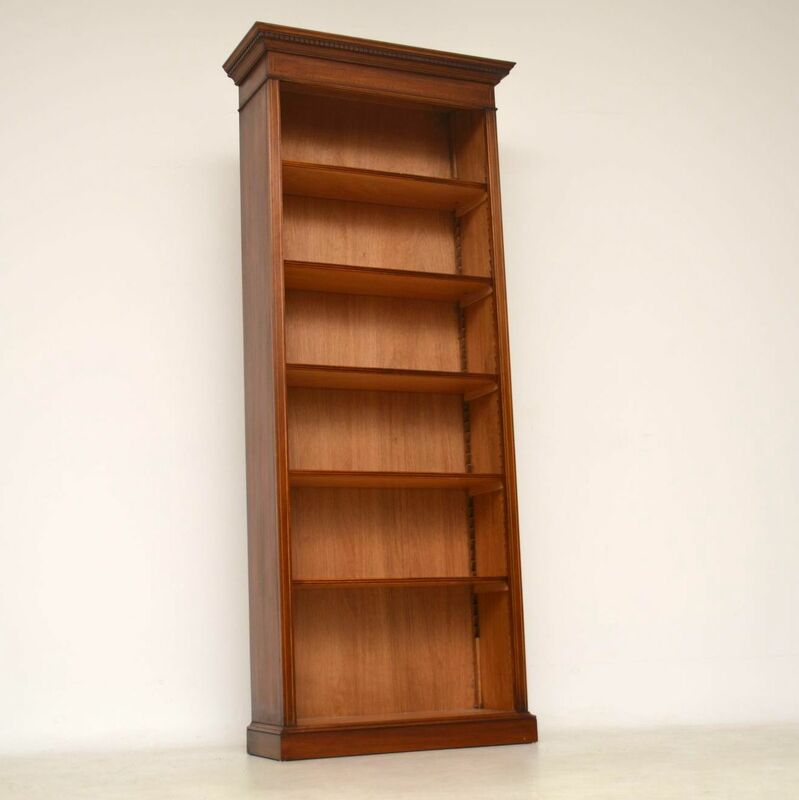 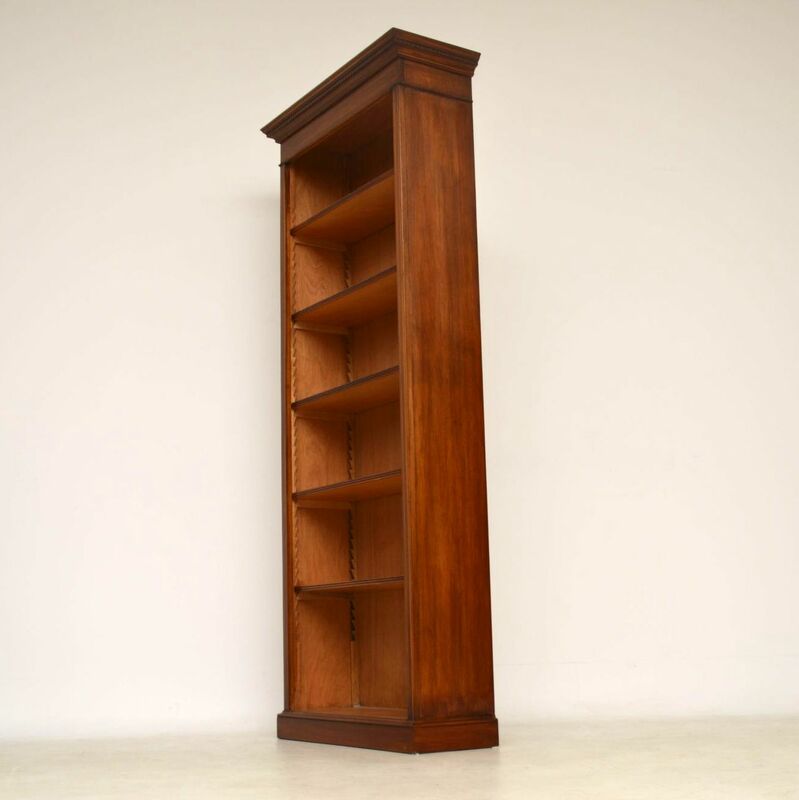 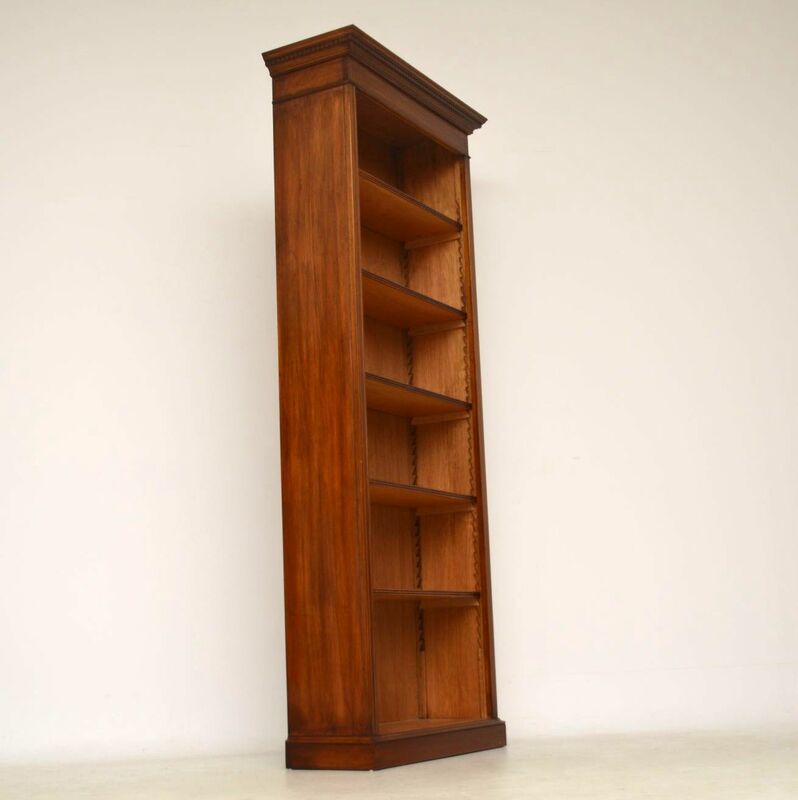 Tall antique Sheraton style open bookcase in mahogany with satinwood inlays. 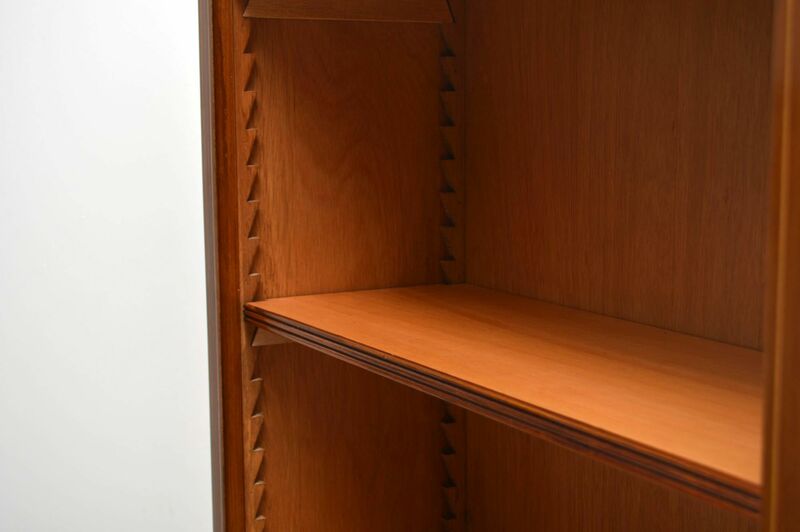 It has five shelves with reeded fronts that are all adjustable on sharks teeth supports. 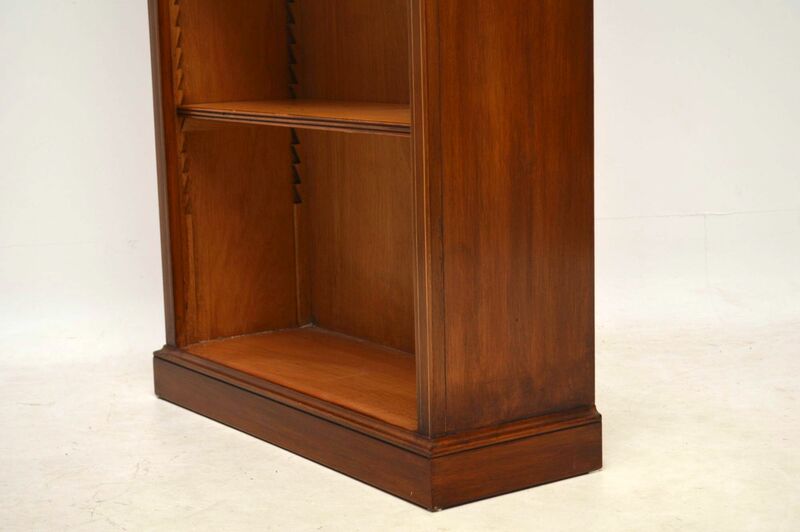 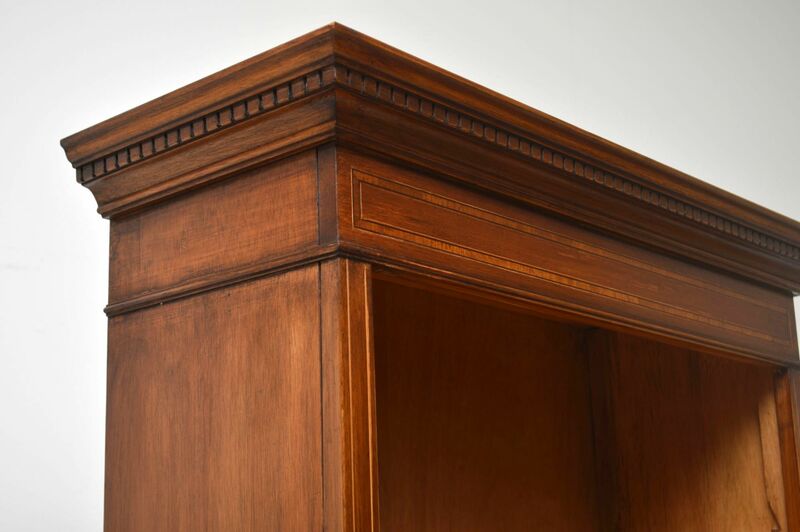 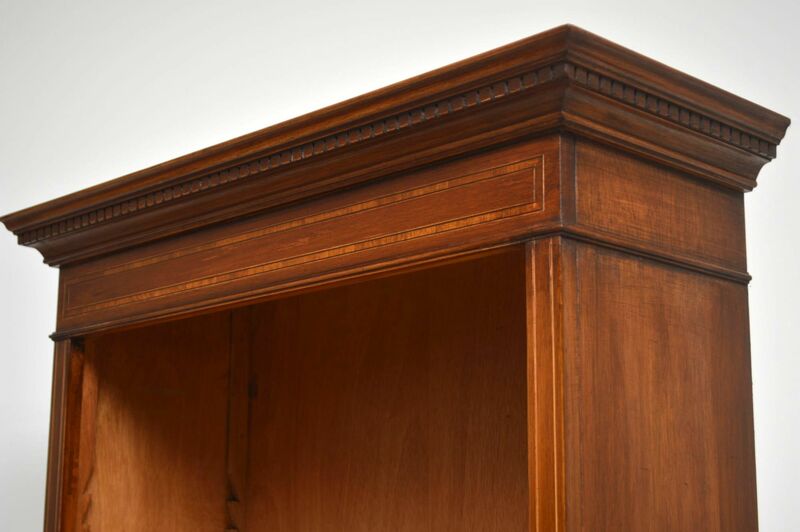 The top cornice has dental mouldings below & this bookcase sits on a plinth base. 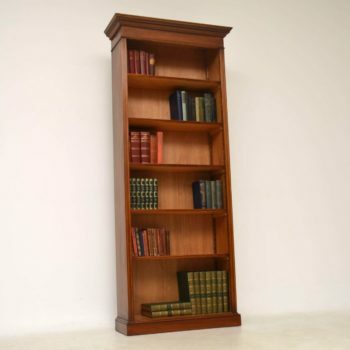 It's in perfect condition, having just been polished & dates from around the 1950-60's period. 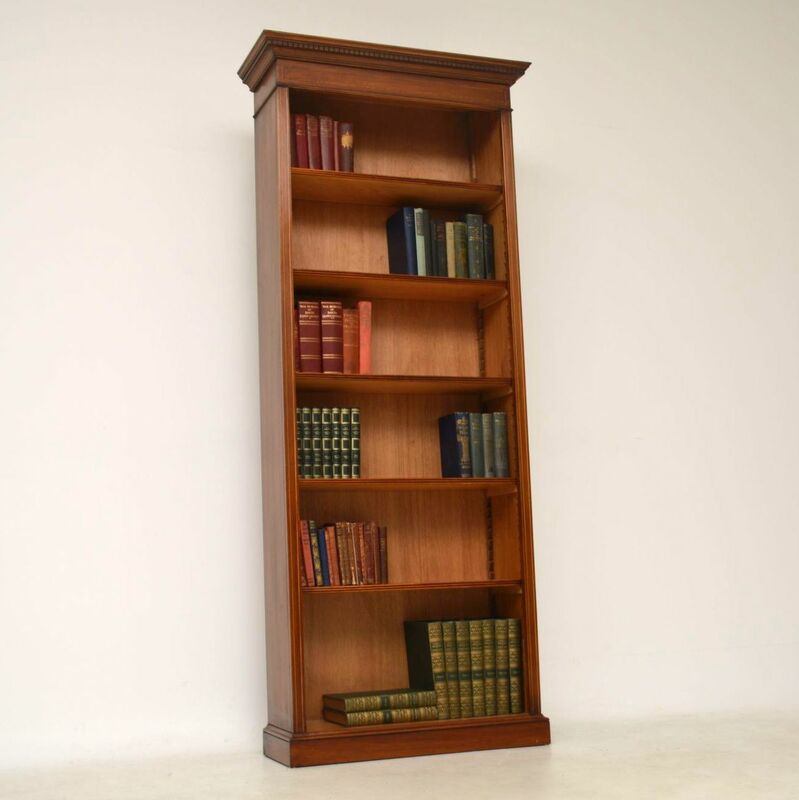 This bookcase has just been hand polished & retains a lot of character.